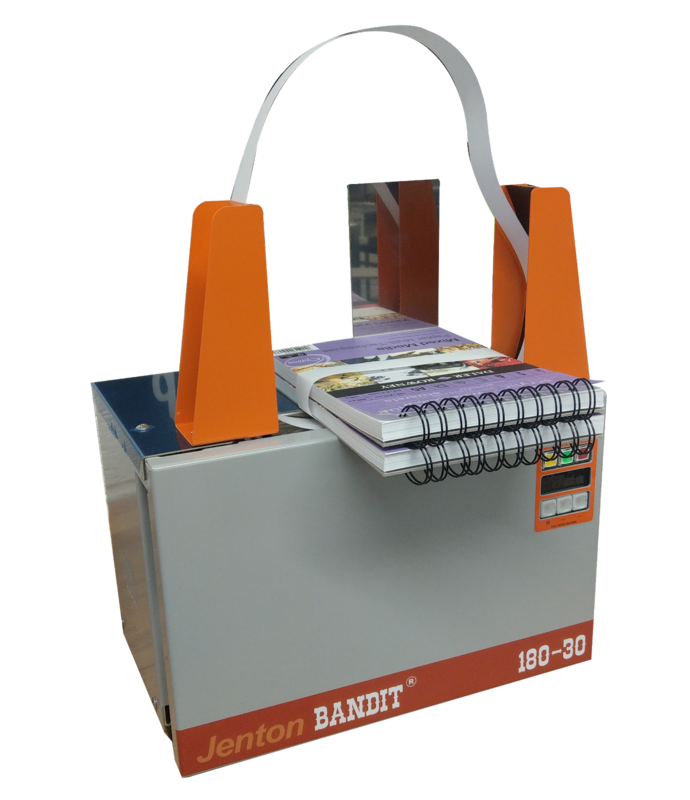 The Jenton range of Banding Machines for packaging is augmented by the 2018 Bandit® 180-30 benchtop paper Banding Machine. With a footprint approx. 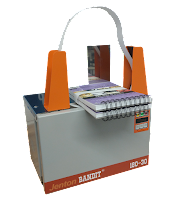 the size of a sheet of A4 paper, there can be few packing / finishing areas without space for the new Bandit® machines launched in June by Jenton. The new machines are designed for the simple bundling of stacks of printed materials, cash, small cartons and multipacks together with securely sealed paper bands. Paper is 30mm wide and can be supplied in brown, white or custom printed. Packs up to 180mm wide can be accommodated. “We’re really pleased with this new machine” says Richard Little, MD of Jenton, “users will be familiar with the archless method of operation, thus avoiding the possibility of paper jams in guides”. Bandit® machines are used, in addition to bundling, for tamper evidence, labelling and multipack/BOGOF applications too. Jenton hold a stock of these and other larger and more automated machines, many of which are available for hire.